It's perfect for pulling tax related salary info in seconds. Sometimes figuring out different tax rates and amounts for customers can be lengthy, ADP makes this simple with this tool. 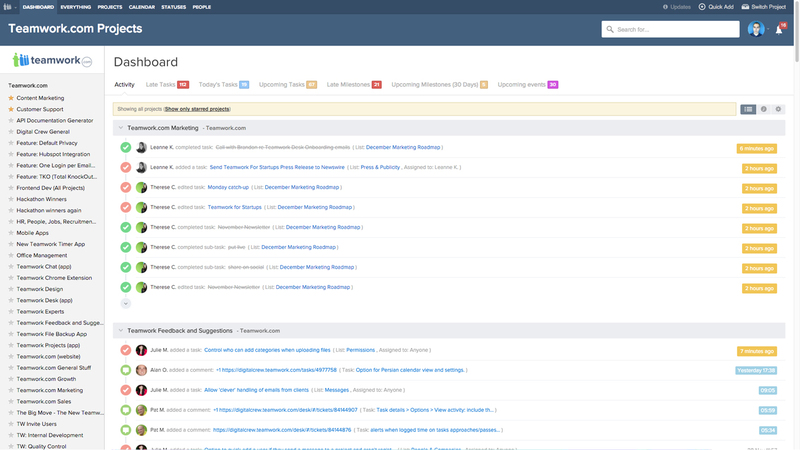 If you are looking for something more than Trello, and want to avoid MS Projects or Basecamp, Teamwork would be a great fit. Also, if you don't need project/industry-specific capabilities (e.g. web development, programming, etc.) teamwork is a solid performer. I would guess it is ideally suited for smaller teams and SMBs, but maybe not enough of a platform for large enterprises. You can create a very detailed task, assign team members to the task, upload images, and there's a time tracker which is really useful when billing clients per hour. Very useful dashboard which provides all the info you need to know, such as tasks that are due soon, completed tasks, who have tasks assigned, an overview of your projects and any other important notes. User-friendly and very easy to use. Our whole team was able to adapt within the first week of using the platform. Our clients love it!! We always get KUDOS and positive feedback from any client whom we invite to a project. Teamwork's invoicing application within Projects isn't very good. It's convoluted and needs an overhaul. It's actually so bad and hard to use that I looked up bookkeeping software to use instead. This isn't necessarily a negative point to Projects, but there are so many options for customization and specificity within Projects that it will take a lot of time to look into every process. I love Projects, but if you really want to know it, you're going to have to take a lot of time to watch webcasts and mess around with the software. The production schedule and due date features of Projects are a bit confusing. It's nice to be able to place tasks and deadlines into a calendar, but ultimately it's hard to parse and ensure the accuracy of things. Perhaps with a single person, the ONLY project managing this wouldn't be so bad to ensure accuracy, but running a small business doesn't allow for having the time to work in Teamwork all day. It was the complete package. Resources & support were best in marketplace. The time savings from having to calculate the vacation, sick, bereavement was well worth the cost of this software. 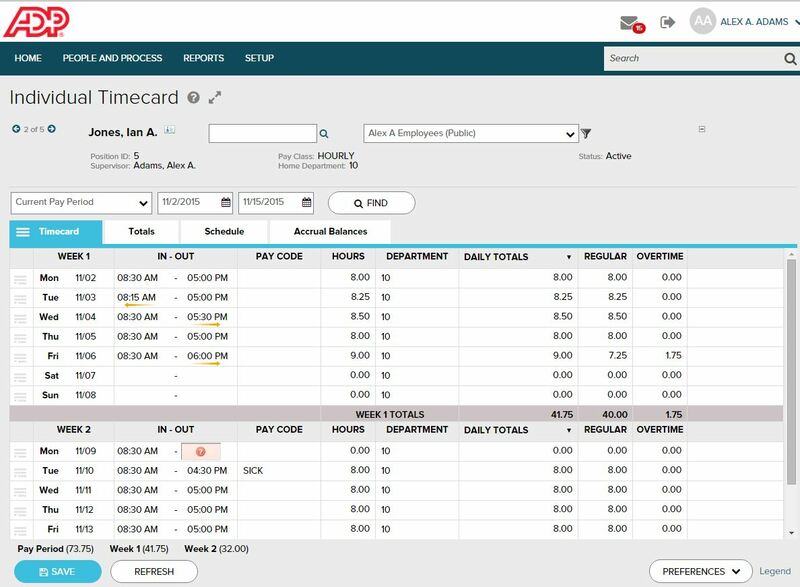 We were able to login once to ADP to then use ezLaborManager which helped save time from having to login multiple times and having to use different shortcuts to access the websites/modular. It gives us the ability to look at what is currently on deck as well as what is coming. This is helpful for scheduling teams and temp labor. Help organize employees and teams on what we need to be working on. Reduces risk to our projects because it is very rare that a step is missed. We actively have lessons learned and update our task template to prevent them from happening again.